Tami Simon: You're listening to "Insights at the Edge." Today my guest is Michael Brant DeMaria. Michael is a psychologist and multi-award-winning composer. He has published and presented numerous papers on the role of creativity, spirituality, and play in the healing process. He's the author of Ever Flowing On and a book of poetry, Moments. His new album with Sounds True is called In the Flow: Music for Emotional Healing, and contains some of Michael's favorite compositions, based on their restorative and healing qualities. In this episode of "Insights at the Edge," Michael and I spoke about the river as a metaphor for life. We also talked about how the Native American flute can facilitate our ability to move through grief, and how we ourselves can flow like water through difficult times of transition. We also had the chance to listen to three songs off of Michael's new record, In the Flow, and talk about the restorative and healing qualities of these songs. Here's my conversation with Michael Brant DeMaria. Michael, I read on your website this quote: "Creativity saved my life." Can you explain that? What do you mean by that? How did creativity save your life? Michael Brant DeMaria: Oh, that's a great question, Tami. Creativity, for me, is inherently healing. What I mean by that is that the process itself somehow brings us into alignment with something greater. You know, one way I like to think of it is: What is Creator doing all the time? Creator is creating. That's what Creator does. So when we create, somehow we are putting ourselves in alignment with that creative infinity of the universe. And for me, that was something that was a tangible reality; it wasn't just pretty words, it was literally a palpable experience. And a number of times in my life, going back to the time I was six, and then at each crossroad in my life, I can see that, when I was most broken, most defeated, that creativity healed me, brought me back to life. So I mean those words very literally. TS: I'd be curious-I mean, you talked about at age six, and then at different crossroads in your life. What was happening that your life was at risk, that it needed to be saved? MBD: Well, probably the most vivid example, which actually refers to one of the songs on this album—after Hurricane Ivan, in 2005, we lost our home, and I was very emotionally broken. To be honest, I had become very depressed, and one thing I like to say is that I lost my smile. Not only that, but my practice was in disarray, I had had knee surgery and thrown out my back, I didn't work for almost three months, and our insurance company for our home went bankrupt, and I really—it was a dark night of the soul. There have been times in my life that I have contemplated not being, literally getting to that point where it's like: Is my life even meaningful? Can I go forward? Which is particularly humbling when you've spent your life on a spiritual path and feel pretty strong about that. But I always like to say, when you're feeling like killing yourself, usually if you can do so without causing bodily harm, that's a good thing. Because really what we need is an ego-cide, and not a suicide. That identity, those things in my life that I had become identified with in my role as psychologist, my role as a vision quest guide, my role as having this home, my daughter was going off to college-I felt like this whole chapter in my life was ending. I'd go out to the ocean that I lived close to, the Gulf of Mexico. And it was an opportunity for me to try to make peace, because also the ocean wasn't a safe place anymore! Here was this ocean that had always brought me peace and tranquility, and it had taken away my home! It was a very, very odd feeling, when actually that which had brought me so much peace looked ominous and scary. One night I had gone out to the Gulf, and it was a full moon, and the full moon was just shimmering on the water. And as I often do, I brought one of my flutes with me. My flutes, over the past 17 years, have been an incredible part of my own healing. I began playing a song, and that song, like I like to say, brought me back to life. It then became the song "Moonlit Sea." TS: Now, when you say the song brought you back to life, what happened? MBD: It's like a light kind of goes off somewhere deep down. And I realized that I was more than all of these things I was identifying with that were dissolving, all of those things that were becoming disassembled, all the identities that I had taken myself to be. And even though I had practiced vipassana meditation since I was 18, you forget those things when you really are meeting a lot of dissolution in your life. This song and the literal light, the moonlight shimmering off that ocean in the middle of the night, just that light from the moon was like a light that was all of a sudden radiating inside; [it was] about that something more than me that had to do with any of that. For me, music in particular is such a wonderful reminder of that which goes beyond the physical. It's the most unseen art, you know? We can't see music, and yet it touches us like nothing else! To me, it reminds us that our lives are like a song, that they have a beginning and a middle and an end, and they take us on a journey. A song never really lives in abstraction. It lives note to note, and the goal is not to get to the end of the song, but to experience every note. There was something about that process of playing, particularly at that moment, and looking at the moon on the water, that brought me peace, that brought me a feeling of tranquility, that began that healing process once again. In particular, for me these native flutes have a bittersweet quality to them. They have helped me grieve, at different points in my life, so also what it was doing was helping me grieve, and helping me let go and release the pain, and let it flow so I could get to the peace and the love and healing energy beneath that. TS: In just a moment, we'll hear some of this song, "Moonlit Sea." But I want to ask you another question, Michael, and I think you're someone who could help point out the answer to this, and it's very curious to me. It seems that some people are just built in such a way that they have a kind of intensity about them, that they can make a comment like, "Creativity saved my life" or "A certain type of spiritual practice saved my life," that they are aware of the fact that they can get to an edge that is so dark that they actually need something to save their life. And that other people aren't actually built that way; their life doesn't actually get to that edge, or at least they would never articulate it quite like that. I'm curious what you have to say about that. MBD: Oh, I think there's a lot of truth to that, Tami. And to me it's something that goes to the root of some of the missing pieces in our culture. You know, we live in a very egocentric culture. We don't live in a soul-centric culture. What I often see, and I include myself in this, is the understanding of those of us who are more what may be called "an intuitive feeler" or "a highly sensitive person," the person who feels things particularly deeply, at least in our culture. Everybody has this deep down, but there tends to be a minority that stay in touch with that as adults. You know, we're all there as children, but the ego is a kind of armoring around that sensitivity of the soul, and openness and interconnection of the soul, and so people who tend to be more grounded there don't tend to get to that place. But part of that, in traditional culture—when I say "traditional culture," I mean indigenous cultures that were more soul-centric—these qualities of the soul, of deep feeling, deep interconnection, sensitivity, were actually supported and understood. In fact, those were often signs of a healer, an artist, a visionary. Of course, to me everyone—and indigenous culture, of course, honored [the fact] that everybody at some level is a musician, an artist, a healer, but there were those who were perhaps more designed that way. You know, what I like to think about is a particular person's soul print. We each have that individual, unique soul print, kind of like how an acorn becomes an oak tree. No matter where you plant that acorn, anywhere on the planet, it's going to become an oak tree. And so people who are more in touch with that, or maybe not as defended from that, or have a deeper sensitivity to that, there are these transition points, these dark nights of the soul that not only are predictable, but are essential to our unfolding and becoming whole, what I like to call "the journey towards wholeness," or what Carl Jung called "individuation." That process requires, almost like a snake shedding its skin, these periodic times where we reach these edges. And we have to dissolve [in order] to then move to the next stage, kind of like the caterpillar becoming the butterfly. We go into these cocooning periods that feel very dark, and we feel like everything we know about ourselves is dissolving. But when we can give over to that, then the opportunity to have transformation and emerge on the other side as a completely different being, as a butterfly, is tremendous. So to me, it's not a sign of pathology. It's actually a sign of a gift. 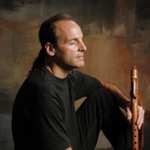 You mentioned, in introducing this song, "Moonlit Sea," the connection between the Native American flute and the grief moving through. I'm wondering if you can say a little bit more about that, what it is specifically about the Native American flute that facilitates that. I could certainly hear it in the song. MBD: Another good question, Tami. When I first heard the Native American flute 17 years ago, tears literally came to my eyes. There's a Native American saying: "The soul would have no rainbow if the eyes had no tears." This is a culture that sees tears as strength, as courage, as the origin of compassion and wisdom. There's another Native American saying that says, "Don't trust anyone until their heart has been broken," because that is the origin of compassion. Over the years, even the vision quest practice, the actual term in some of the native languages, like Lakota, is hemilshiape, which means "the lamentation." "Vision quest" is a term British anthropologists used to describe what they saw going on, but the lament is key to the Native American practice of finding your vision for your life. One goes into the wilderness to fast and cry for a vision. So their understanding of grief is actually like a river flowing through your heart, and for you to open to that is what opens you to a sense of kinship in the natural world, to feel your full membership in the natural world, and to know and experience your true belonging here on the planet. One of my teachers used to say, "If grief could make a sound, you couldn't hear anything else." I think that's a really adequate expression. There's something about the particular pentatonic scale that most of these instruments are keyed to. It's a minor scale, and minor scales of themselves have this kind of lamentation. There's also a kind of a joy, like I said, a bittersweetness that is there too, just like when the river flows, there's also an exhilaration and an openness. If you don't cry all of your tears, then you're not going to experience all of your joy, either. TS: Now, water, tears, the river, the ocean—it seems that the element of water is key for you personally, and also in terms of creating music that has this movement like water, [such as] Music for Emotional Healing, which is the subtitle of the record, In the Flow. Can you talk a little bit about that, the relationship between your music and water? MBD: Yes, I'd love to, because it is central, and it's central to my life. Water is the central element that has figured in my own transformation and initiation in my spiritual path, and also it's archetypal. You know, you find in indigenous cultures around the planet, from Native America to Africa to aboriginal Australia, that water is a pan-cultural image of healing. You can think of this in a very simple way when you think of even cleansing a wound, using water to clean the wound and heal the wound. You can also see that water is such an incredible dissolver of things that need dissolving. In addition to that, what fascinates me about water is that it's very similar to music, and it's similar to emotion. There's something about music and emotion and water that is connected for me: they all flow, they all move in waves. You know, if you really understand emotion, feelings move in waves, sound moves in waves, and water moves in waves. There's a liquidity and fluidity that we find in sound and water, and I think one of the difficulties with emotions in our culture in particular—of course, our culture tends to always turn verbs into nounsis when we create and see emotions as things, as opposed to processes, as something unfolding and moving. Oftentimes emotional wounding is when things get solidified, and emotions get harbored into something solid. To actually get them to flow and move and shift and transform is where the healing happens. For me, water is such an inspiration creatively, as an artist, but also as a healer and as a therapist and as a musician. So for me, I'm really trying to help people feel supported as they begin to dissolve these hard emotions, or emotions that have gotten stopped up, where you have kind of a logjam of the hear. To get things flowing again, to move again, is where the healing comes from. Water is literally a friend to meand this is an indigenous practice. They see water as also the transitional element between the spiritual and physical worlds, and they see it as a living being, as a presence that you should talk to, that you should connect to and see as a very mysterious presence on the planet. For me, even when I take a shower, I'm talking to the water. I encourage our listeners out there to really begin to see how amazing water is if you really look at it. I worked as a child therapist for many, many years, and the number one choice, when you give children a choice to play with any kind of toy, or anything in a play therapy room, at almost any age, but particularly with younger children, water is the number one thing they'll go to. There is something so magical about water. Even scientists can't quite tell you what water is and why it behaves the way it does. It really is mystical and very magical, even at a scientific level, the way it moves in the world. We are water. We are two-thirds water, which is a perfect mirroring of our precious, amazing earth, which is also made up of two-thirds water. TS: I remember reading on the liner notes of one of your records, "Perhaps we should call our planet 'water' instead of 'earth,' since it's made up more of water." I'd never had that thought before. I thought that was a beautiful idea. MBD: Yes, actually, that image of "What a mistake to call this planet 'earth' when it is so clearly ocean." TS: Yes. Now I'm curious, when you compose your pieces, when you create the music that you create, how you bring water into the actual compositions. I understand everything you're saying about water helping our emotions flow, the experience of sitting by a river or by a waterfall. How do you bring that into your music? I think you do it very successfully. What's happening for you, though, from a process perspective? MBD: It's very simple in some ways, and at the same time, I think it's very profound. For me, I love to improvise, number one, and I try to record a lot of my improvisations. Even though I grew up playing keyboards and percussion, there's two understandings of the word "rhythm." One is the Western musical definition, which is a metered sound, an ongoing, syncopated, metered sound that is in almost a clock-like relationship, that's very individual and very logical and very analytic. The other meaning of "rhythm" is much older and much deeper. It even comes from the same word, rhythmus, from rhyne, which also means "river" or "to flow." It literally means "to flow." This deeper kind of rhythm that we mean is the rhythm you might find in nature. If you listen to a river or watch a river, you'll notice water never makes an esthetic mistake. The way it moves and flows is extraordinary, but certain bends of a river, just like the wind flowing or the water flowing, the rhythm by which it flows is not measured by clock time. It's not measured by a metronome. For me, it's really important when I play-and most people notice this-that most of my compositions have a real . . . I want to play like the wind blows and the water flows. I'm really listening to something very deep, and I'm really wanting to become and experience myself as a part of the music and of nature, to really allow something to flow through me. In native understandingagain, you'll find this in the indigenous cultures in the Americas, in Africa, in Asia, and in Australiathey believe that music is all around us, like nature, and that a musician's job is to be a channel for that, and to become "like a flake of glass through which light passes," which actually is a John Muir quote. At many times I feel like I am being played, not that I'm playing. It's really important for me to allow this flowing to have its natural course. I'm not worried aboutyou know, I never compose or play to a metronome. I never compose based upon musical notation, it's out of the organic process of improvising. And then I build, from those improvisations, a particular composition within a theme of whatever I'm working on. But it really comes down to this organic understanding of the most innate sense of flow and rhythm, and not metered by some kind of external metronome. TS: Now, I notice that you also teach a workshop. So now, moving from your life as a musician to—you have so many lives! —your life here as a teacher/lecturer/workshop leader, called "Flow Like Water: Finding Your Way Through Crisis, Trauma, and Transition." You told us a little bit about your own experience with Hurricane Ivan, but I'm curious: in that workshop, what are the key ideas that you offer to people, the key helpful tools so that people can flow like water through the difficult periods of their lives? MBD: Now, that's beautifully put. I incorporate sound and movement in most of my workshops, because I really want people to move from this more left-brained, analytic, strategic, logical, ego-based consciousness to trusting the more spatial, creative, right-brained, embodied, fluid way of moving through the world, which we all have within us. We all have access to it. It's sometimes a little bit harder for some than others to get there. A lot of what we do is, I like to really help people begin to see that each moment is a note in the song of today. I'll say that again: to really begin to see and experience each moment of their life and their day as a note in a song of today. You know, you only can experience a song note by note, and to really live well, to live properly, is to experience each moment, one by one, really fully and really as lovingly and as compassionately as possible. There's a lot of practices for meditation, working on stepping back from the contents of one's mind. You know: I'm not my thoughts. My thoughts are not reality. Allowing those to pass by, dropping into being a more present, centered focus. It also means I teach versions of very easy, accessible chi gong movements, tai chi movements, and also different kinds of things that people can do with sound, just simply making sounds that aren't words with their voices, trying to get out of the head and drop into the heart, into the body. The idea is that everybody can improvise, and we are all improvising, and life is a grand improvisation. And if we take water as our cue, water as our guide, water as our teacher, and flow like water, we can live much more free, more liberated, more peaceful lives, which also means dropping out of some of the more unhealthy or even toxic narratives that we are constantly playing in our minds. You know, typically the average person has 60,000 thoughts a day, and 80 to 90 percent of them are the same as we had yesterday. So it's to allow people to be present, but also to learn to move and flow with flexibility. That means also flexibility toward their ideas about themselves, others, and reality, to really also allow those to become more fluid, and just dissolved, and not as rigid. And helping people become more comfortable with uncertainty, because we have more and more uncertainty in our lives. It's so clear that the sign of emotional and spiritual maturity is the ability to live with uncertainty in a more peaceful, robust, aware way. TS: Now, of course, Michael, what you're saying, it makes a lot of sense, and I think that most people probably have the experience that they can flow through most of their days. But then there are times, times when we get quite stuck, quite frozen, and we feel that this flowing river, it's not us. We're more like a frozen piece of ice. What do you suggest in those moments? And I know this is a general question. We're not bringing up any one specific person's situation, but I'm sure you've worked with so many people who have come to you in frozen states of being. MBD: Absolutely, Tami. You know, I'm no stranger to them myself. When the river stops flowing, or we have become congealed, retracted, rigid for fear of further pain, there's a number of ways of beginning to work with that. The most important thing for me is helping people really begin to feel safe. We become rigid, and we become retracted, and we become frozen when we are in fear, and we feel stuck, and we're at a level of pain where we feel like we can't endure any more, so we retract. An image I often use—I loved your use of the metaphor "frozen." A lot of times, we do freeze, and you can think of water freezing. I like to tell people: Why is it that we freeze something? Why do we put something in the freezer? It's usually something very precious that we want to not go bad. We don't want it to deteriorate. We don't want it to spoil. Oftentimes what we do is we put our hearts in a freezer. It's actually self-protective. What happens, though is thatwell, actually, when I work with some people who have been abused as children, there are times for them to actually pull back and not allow themselves to be vulnerable around people that would take advantage of that. But what may have been appropriate at different points in our lives, and actually effective and productive, can actually get in the way at other points in our lives where we are not in that same place, and people around us are more trustworthy than they maybe were when we were 10 or 15, or whenever we may have been traumatized. So helping people feel safe: I use a lot of sound techniques in my work, both in workshops and individually. In trying to help, what's so beautiful about these really deep sounds is helping people begin to drop out of their minds and the kind of fear-based narratives they're telling themselves, bringing them into the moment, helping them begin to relax, begin to release, and also begin to literally melt that ice. The warmth that comes from safety also comes from compassion-just the warming of the heart. I like to say, so many people try to quiet the mind today without warming the heart. What I've found to be true over and over again is that a warm heart creates a peaceful mind. And sometimes to deal with the emotions first, then the thoughts can sometimes simply dissolve and melt away, helping people connect to something that they can really connect to that's loving in their lives. I'm reminded of a story Thich Nhat Hanh tells about when he was in Vietnam during the war. There was a woman who had lost everything, her own family and her own home, and she was carrying an orphaned child in her arms. She said to Thich Nhat Hanh, "I have lost everything and I have no faith. I don't know how to go on. I'm in such pain, and I have no more belief in God or anything. What do I do?" And he simply said, "Is there anything in this world that you love?" She said, "Yes! I love this child in my arms." He said, "Then just love that child, and that will be your meditation, and that will be your practice, and that will be your religion, just to love that child in your arms." What I love about that is, to me, we all have a wounded child in our arms that needs our love, that is asking for our love, and that is where the flow comes from. The real river that flows through our hearts is the river of love. And I mean a divine love, a love that, as Dante would say, "moves the sun and all the other stars." It's not just a human love. It's the love that's in the flow of this album, to me. It's the flow of this love that can heal the deepest wound and calm the greatest fear. TS: Very beautiful. Thank you. I would love if you would introduce this next song that I'd like us to listen to from In the Flow: Music for Emotional Healing. It's called "First Light." Maybe tell us just a little bit about how this song came into being. MBD: Oh, I'd love to, Tami. This is a real personal favorite. "First Light," the inspiration for it, in fact, is a good segue, because "First Light" is about that twilight moment when the light is just shifting, very early in the day. And for me, in that really quiet time, if you really listen-and to me, part of my life as a musician is to really be a listener, and I think we can all work on listening more deeply. In fact, in a lot of my workshops, we do deep listening exercises, because I like people to begin to hear what's beneath the silence, that there's literally a sound. You may have heard this, particularly if you're in a desert, or some place that's particularly quiet, and you often can really touch it in the early morning twilight. I like to call that sound "the hum of God." I remember hearing it when I was six and doing my own healing at the family piano, [healing] from surgery that I went through. It's like a very supportive hum. For "First Light," I really wanted to tryand I don't share this that oftento get to the sound that I hear deep inside myself in the deepest levels of silence. It's a sign also, in songs about the first light, as the flute continues to play, it's as if the sun is rising. That's also the rising of hope. That's the rising of dawn. That's the rising of the love that we're talking about that begins to flow more fully through our hearts. Really, I spent months trying to get that sound just right. And I'm really big in a lot of my tracks, as you've probably noticed, with these drone sounds. The drone sound is that consistent, constant background sound. 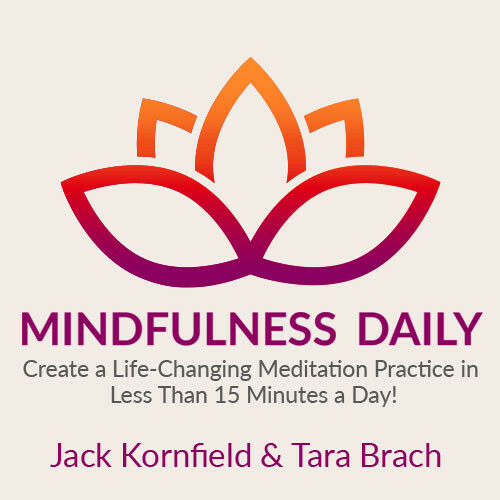 Why that's so important to me is that in my meditation practice, and teaching meditation, I try to help people attend to that deep sound that in and of itself is tremendously grounding and healing. That's the inspiration for "First Light." TS: Now, you said that this inspiration was something that you traced back to when you were six years old, recovering from surgery at the piano. Can you just tell us about that before we hear this piece of music? MBD: By all means, Tami. I'd had abdominal surgery, and I was a very sensitive child, as I mentioned, and I was feeling very disconnected. I was feeling disconnected from my family, from my friends, from my body. And it was always amazing to me that we had a piece of furniture in our living room that made sound. I'd go to the piano, and I found that when I hit one note at a time, I'd hit it, and I'd love to hear that one note just arise and slowly dissipate. What I really loved to do was catch that moment when the sound just dissolved into silence. As I did, that's when I would hear what I call "the hum of God." And that really brought me a tremendous amount of peace, just like I was being wrapped in a sonic blanket. I realize now that I was self-soothing. In a way, I was putting myself in a trance and meditating. I would wait until I would hear that before I would hit the piano again, another note. Of course, my parents just thought I was autistic at the time! But it really was a meditative practice that I was doing. So I really like to use a lot of spaciousness in my compositions to try to help bring that ground of silence to the fore. 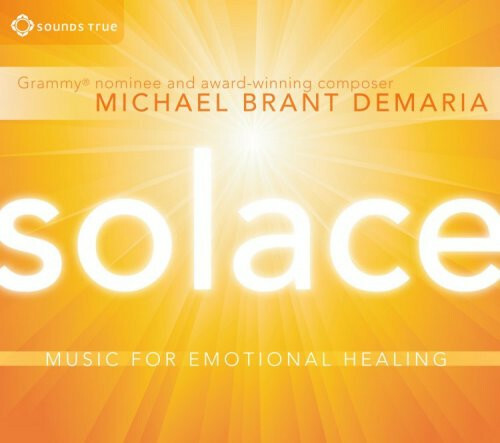 TS: Here's "First Light," from the record In the Flow: Music for Emotional Healing from Michael Brant DeMaria. Let's listen. [Music.] Very, very beautiful. TS: Now, it's interesting to me, Michaeland I'm sure this is a question you've been asked beforethat here you are, you're a very talented musician and composer, and also, as we've discussed, a workshop leader and lecturer, a PhD clinical psychologist working as a play therapist and expressive arts therapist. You're also a vision quest guide, taking people on vision quests, also a poet and a painter and a writer! I'm curious if this all ever feels confusing to you, to have so many different ways of expression, if it integrates naturally, beautifully, into a whole cloth, if there was a journey to find that integration, or what that's like for you. MBD: Yes, I have been asked that question before, Tami. And it is interesting, because for me, it's just the most natural thing in the world. In some ways, I have a very demanding muse inside. I also, thoughfor me, what's very interesting is it all does seem to be one thing for me. It's this idea of tapping into this flow we're talking about. It's simply many different forms of the same thing, the same flow. Very much, my poetry and my painting is about expressing this flow, just in a different medium. And they actually inform each other. I actually am a strong believer in what I call "art rotation." You've heard of crop rotation? You know, doing one thing, planting just cotton depletes the nitrogen from the soil, and after a while you can't plant anything else, so you have to plant soybeans for a few years, that then will replenish the soil. Well, for me, it's kind of a spiraling unfolding. Certainly part of my journey has been that I'm very influenced by Jungian psychology, and psychosynthesis by Roberto Assagioli, so I have a real honoring of what I like to call "the journey towards wholeness." To me, it's not about being perfect; it's about being whole. I really am on a journey of trying to experience the fullness of what this life has to offer in each moment, and try to trust the flow, the inspiration. For me, the journey is flowing down a river we've never been down before. It's not climbing a mountain. It's not building a building. There is a flow, a natural flow to this river, and I think we've really forgotten the wisdom of the river. What I mean by that is that, in our very patriarchal, linear understanding of the world, even in the way we deal with the stock market and everything else, it's always like climbing a mountain. It's always like you should just get bigger and bigger and better and better, and ascend, ascend. The river flows down, and it also twists and turns. So for me, when my life is twisting and turning, I know that's a much more natural process, and that I'm trying to trust my own unfolding, to live my life as a river flows, as much as possible. As long as I stay out of my head, it feels perfectly natural. Sometimes when I step back, when other people say, "Isn't that confusing?" and I'll say, "Yes, if I ever looked at it that way!" But it really does feel like the most natural thing in the world for me. TS: I wonder if it's also maybe just a product of our time and our culture that we think people need to specialize so that they'll be more financially successful in one arena, or something like that. MBD: Absolutely. In fact, even in our movement of scientific research, you know, we have more and more specialization about things that are smaller and smaller and maybe less related, less holistic or organic. I certainly have the benefit of that mission of helping people move out of that, the idea of interconnecting and generalizing, that there's something much more precious than just specialization. I have a lot of people I work with nowadays—I basically limit my practice to adults in transition now, even though I worked for a decade and a half with children, which to me was an apprenticeship for working with the child within adults. I have many doctors and lawyers, CEOs, executives from all kinds of walks of life, who have lost touch with their heart, with their soul. Bringing that back is often helping them create or reconnect with a part of their creative life they've left behind. To me, oftentimes people realize that what money can't do, what success can't do, is touch your heart, open your heart, help you feel more interconnected, that you belong on the planet. That's something that immersion in nature and creativity both share in common. And I was going to mention: Immersion in nature is very similar, to me, to creativity, because nature is Creator's art. So when we are immersing ourselves in God's art or Creator's art, we are also putting ourselves in that same alignment that we do when we are creative ourselves. I say my Holy Trinity is nature, creativity, and spirituality, and I find in my own life that those things weave together over and over again. I really encourage that with others, that even if they don't have a creative outlet they feel right now, they should go lay down on the grass and look at the sky, and just really immerse themselves in a natural setting or the natural world for a while. It's tremendously healing! Like creativity, nature is inherently healing. TS: Michael, I just have two more questions for you. Here's the first one: The organization that you've founded, called Ontos, has this very interesting motto. And I really liked it, so I want to read it out loud and then have you comment on it: "Be who you are on the journey to becoming who you may be." MBD: Yes, it's something that goes to the very core of my life mission and what I've found myself over and over again coming to. Because I really have two sides of my path, and my journey has been very much practicing. Like I said, I've done meditation since I was 17 or 18, but I've also been an artist in my life, and to me, what's beautiful about this idea of being who you are on the journey to becoming who you may be, is that oftentimes today, people either overemphasize just the moment or just the journey. To me, the way they come together is, I often like to think of the drop of water in the river, that that drop of water has to make its journey and go down the river, and go through the rapids, and go over a waterfall, and be tossed and turned. And it can feel very scary to that one drop of water—this is anthropomorphizing and personifying—but if that drop of water can remember its life as the ocean, and have that sense of peace in every moment. But also know you have to take the journey, too, also knowing that we have to take this journey wherever it may go, that we can have peace by really honoring each moment, again enjoying each note in the song of today, to enjoy each note of a song. But also know that we are heading somewhere and unfolding and evolving in different ways, at least in this particular lifetime. It's that acorn becoming an oak tree. At each step along its way, being a sapling, then growing a little bit bigger. Really attending to this moment is really the best way to take care of your whole unfolding, but also knowing that this moment is constantly giving way to some kind of growth. Today you may be a caterpillar, but tomorrow you may be a butterfly. And so in this moment, being who you are is also honoring that who you are is in flux, is fluid, is unfolding and shifting and changing and on a journey. It's to not rigidly hold on to who you are while you are also accepting who you are in this moment. It's this beautiful, amazing, wonderful paradox of accepting and letting go, and the organic understanding of unfolding. TS: I absolutely love this saying: "Be who you are on the journey to becoming who you may be." I want to end our conversation, Michael, by playing an excerpt from the very first song of In the Flow: Music for Emotional Healing. It's called "The River," and we've talked some about this image of the river being a central metaphor for you, for both your own life and also the music that you create, and its emotional healing impact. Tell us just a little bit about how this song came into being, and what this song means to you. MBD: I'd be happy to, Tami. "The River" is a very special track for me. It was one of those moments when everything just came together. As a musician, it's not often that everything for a song goes on the first take, and there was something about this track, which is the first track on In the Flow. It is about, really, the beauty and power and magic of the river. Rivers are literally the arteries of this planet, they nurture everything on its way. And what I mentioned earlier about the river that flows through our hearts, to me the love that flows through our hearts is similar to the water that flows through the earth. The river is such a wonderful metaphor for our lives. They twist and turn. First we think we're going west. "No! We're going east!" And then a few years later, "No! I'm going west again!" "No! I'm going east!" And a few decades down the line, you realize, "I'm not going east or west! I'm going south!" There's a kind of beautiful, fractal unfolding to a river that follows an innate wisdom that's different from what we think of in Western culture, something like climbing a mountain. I think it's a metaphor for the life journey that really is desperately needed today in our culture. And so this particular track is near and dear to my heart, and has a lot to do with a tremendous sense of hope and joy as we feel the river of life flowing through us, and that we are part and parcel of this beautiful planet and of each other, and that the river that flows through our hearts connects us all. That's really the inspiration and background to this song, "The River." TS: Let's listen. [Music.] That was an excerpt from "The River," from In the Flow: Music for Emotional Healing. We also heard, during this episode of "Insights at the Edge," an excerpt from "First Light" and one from "Moonlit Sea." 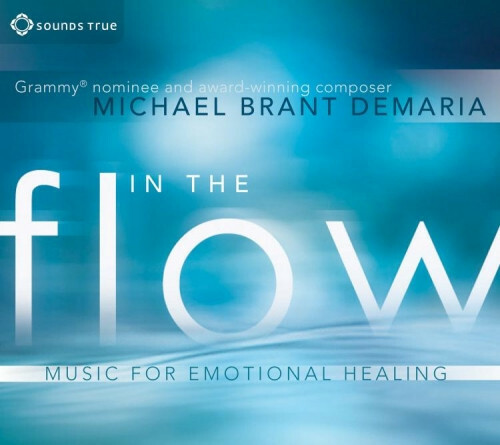 That's three pieces from this new record by Michael Brant DeMaria, In the Flow, available through Sounds True. Michael, thank you so much for talking with us and sharing so much of your poetic soul. Thank you. MBD: Thank you, Tami. It was a joy.